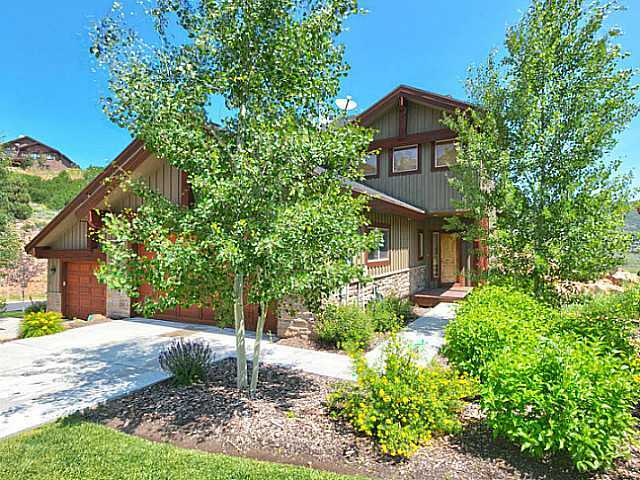 Homes for sale in Cedar Ridge, a neighborhood located in Park City, UT, are listed below and updated daily from the Park City MLS. Cedar Ridge at Quarry Junction is a townhome development located in the Pinebrook area on the south side of Interstate 80. It is made up of 88 three-and four-bedroom twin homes that range in size from 2,100 to 2,900 square feet. The neighborhood offers convenience access to the Quarry Village Shopping area and the free bus system, which will take you into Park City and to the ski resorts. There is also easy access to Salt Lake City by nearby Interstate 80. Cedar Ridge is part of the Pinebrook Master Homeowner's Association and, as such, offers its owners use of its parks, trails, and tennis courts. For more information on any of these Cedar Ridge real estate listings, simply click the "Request More Information" button when viewing the details of a property. I can provide you with disclosures, past sales history, dates and prices of homes and condos recently sold nearby, and more. And, for your convenience, register for a free account to automatically receive email listing alerts whenever new homes or condos for sale in Cedar Ridge hit the market that match your specific search criteria.